Professor Chung K. Law received a B.S. in Physics from the University of Alberta in 1968, an M.A.Sc. in Aerospace Studies from the University of Toronto in 1970, and a Ph.D. in Engineering Physics from the University of California at San Diego in 1973. He was on the faculties of Northwestern University from 1976 to 1984 and the University of California at Davis from 1984 to 1988. In 1988 he joined Princeton University, where he has been the Robert H. Goddard Professor of Mechanical and Aerospace Engineering since 1995. Professor Law’s primary research interests are in combustion, fluid mechanics, heat transfer and fuel chemistry towards their applications in propulsion, energy, alternative fuels, material synthesis and the environment. In particular his research group has been involved in studies on aerodynamics of laminar and turbulent flames, high pressure combustion, flame instabilities, droplet combustion, fuel kinetics, microgravity combustion and supersonic combustion. His group also studies droplet impaction either on another droplet or liquid pool or surfaces, simulating processes of inkjet printing, fuel sprays, rain drop formation etc. For his research accomplishments Prof. Law was honored with the Curtis W. McGraw Research Award of the American Society for Engineering Education (ASEE) in 1984, a Silver Medal and the Egerton Gold Medal of the Combustion Institute in 1990 and 2006 respectively, the Propellants and Combustion Award, the Energy Systems Award, and the Pendray Aerospace Literature Award of the American Institute of Aeronautics and Astronautics (AIAA) in 1994, 1999, and 2004 respectively, the Heat Transfer Memorial Award, in Science, of the American Society of Mechanical Engineers (ASME) in 1997, an Outstanding Alumnus Award from the University of California at San Diego in 2000 and from the Hong Kong Polytechnic University in 2007, an honorary Doctor of Engineering degree from the Hong Kong Polytechnic University in 2012, and a number of best conference paper awards. He is a Fellow of the AIAA, ASME, the American Physical Society (APS), the American Association for the Advancement of Science (AAAS) and the American Academy of Arts and Sciences (AAAS), a member of the U.S. National Academy of Engineering (NAE), and a past president (2000-2004) of the Combustion Institute. 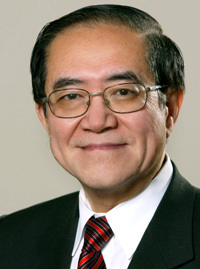 He is the director (2009-2016) of the Combustion Energy Frontier Research Center sponsored by the U.S. Department of Energy, and the founding and current director (2010-present) of the Center for Combustion Energy at Tsinghua University in China.